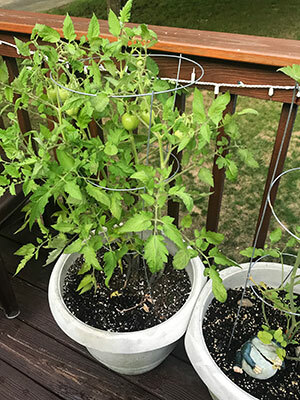 In a study to determine how outer space affects plants and seeds, Mrs. Waters’ 7th graders each received two packages of tomato seeds from “Tomatosphere” in May 2018. One package contained seeds that were sent to the International Space Station (ISS) on board Space X’s Dragon on July 18, 2016. The other package contained “control” seeds that were kept on earth. The students participated in a blind test, as neither Mrs. Waters nor her students knew which seeds were the control seeds, and which seeds were the outer space seeds. Students each planted three seeds in small containers and observed them daily for approximately eight days. To compare the two groups, they counted the number of seeds that germinated daily and represented their data as the total percent of seeds that germinated. Although the students will not know the results until January, 2019, when data is collected from all participating schools, they were very excited about the project and took several guesses about which group of seeds were the outer space seeds. 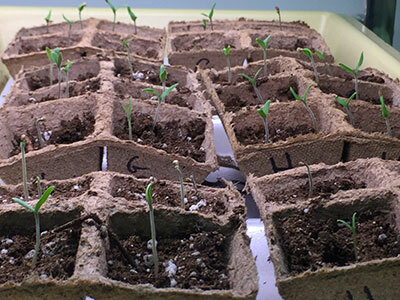 “Tomatosphere” is a program in which K-12 students use “space” seeds to learn about plants – right here on earth. Students investigate the effects of the space environment on the growth of food that may, in the future, support long term human space travel. 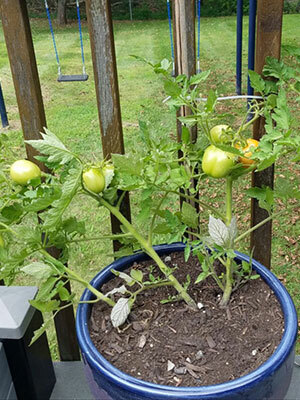 The Tomatosphere program engages students in real scientific processes that teach and reinforce inquiry skills. 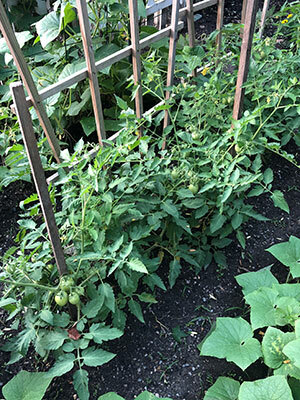 Mrs. Waters’ students were so excited about growing the tomato seeds that, at the end of last school year, many took the new plants home to continue their observation of the maturing plants in their home gardens. “I love to see the enthusiasm from students who continue their love of science over the summer,” she said. Read more about the program at www.tomatosphere.org.